Shirley Muldowney (born in Burlington, Vermont ), also known professionally as "Cha Cha" and the "First Lady of Drag Racing", is a pioneer in professional auto racing. 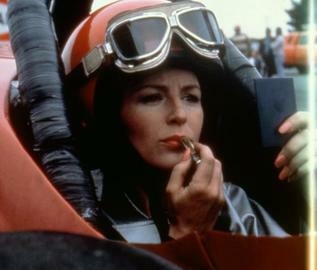 She was the first woman to receive a license from the National Hot Rod Association (NHRA) to drive a Top Fuel dragster. She won the NHRA Top Fuel championship in 1977, 1980, and 1982, becoming the first person to win two and three Top Fuel titles. She has won a total of 18 NHRA national events. She was the subject of a movie made about her career, 'Heart Like A Wheel'. Several other drivers were portrayed in the movie, including "Big Daddy" Don Gartlis & Connie "Bounty Hunter" Kalitta.